Product Details - Dimension - 3.8 ft Contents - 12 pcs, Suitable- All Breeds Dogs. 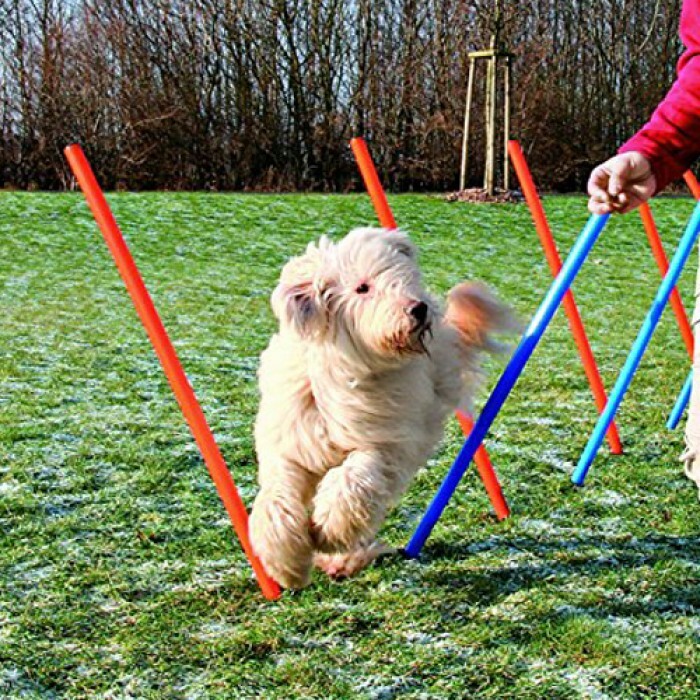 Product Information - Train your dog using TRIXIE Blue and Orange 12-piece Dog Agility Slalom. These poles sport protective covering and has an adjusting cord too. Available in exciting blue and orange color, this 12 piece set is available with a dimension of 45 x 1.1 inches. 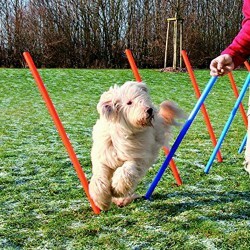 This kit helps in sharpening your dogs skills and also improves your bond with your pet. A one stop shop for home d?cor and furniture, Pepperfry sells a home product every 30 seconds.